Tranz Software Solutions Pvt Ltd.
Quality products and customer satisfaction is the core of all our decision making and methodologies. Our dynamic and motivated team always goes the extra mile to achieve the customer goals on time and on budget. We generate awareness, establish and promote your company using strategies and tactics. In other words we enhance brand equity using advertising campaigns and promotional strategies. We belive that Branding is a crucial aspect of your company because it is the visual voice of the company. Our Software testing team conducts investigation to provide stakeholders with information about the quality of the software product or service for enhanced performance and usability. We can provide an objective, independent view of the software to allow the business to appreciate and understand the essence of software products. For maximum efficiency and to provide our valued clients with faster software releases we have created a harmony of both manual and automated testing into our Quality Assurance process. Tranz customer support services, assists your customers in making cost effective and correct use of a product or service. We work with our clients in planning, installation, training, troubleshooting and maintenance of their products and services ensuring 100% customer satisfaction. Raise HRM is typically a complete solution for Human Resource Management. Today, data comes from a variety of sources ranging from performance numbers and attendance to surveys and tracking employee life events. Not only is there a lot of employee data that is becoming available but HR teams also need to understand what to do with that data and how to make sense of it. This is made possible in Raise HRM by having shaped it with deep understanding of analytics and data science which in turn get the most out of employee performance in service of an employer's strategic objectives. We help your start-up become the company of your dreams. We give your BIG ideas the right platform to grow and develop into a self-sustaining and diverse eco system. Your ideas with our consultation experts are the perfect elements for success. What to know how well your team is performing? Key Performance Indicator (KPI) is the measurable value that demonstrates how effectively a company is achieving key business objectives. We help you use KPIs to evaluate your success at reaching targets. We assist you in selecting the right KPIs depending on your industry and which part of the business you are looking to track. We take care of all the nitty-gritties but the most important part of KPI like the research and process documenting so that you can enjoy the results in click of a button. Apache Spark is a fast and flexible processing engine with elegant and expressive development APIs that allows data workers to efficiently curate machine learning/SQL workloads that require fast in-loop access to data resources. With Spark running on Apache Hadoop YARN, developers everywhere are allowed to create applications that exploit Spark’s power, get in-hand quality insights, and enrich their data science techniques and methodologies. The Hadoop YARN-based architecture provides the foundation that enables Spark and other applications to share a common cluster and dataset which ensures consistent levels of service and a swift response. Apache Spark consists of Spark Core and a set of libraries. The core is the distributed execution engine and the Java, Scala, and Python APIs offer a platform for distributed ETL application development. Additional libraries, built atop the core, allow diverse workloads for streaming, SQL, and machine learning. Spark is built for data science and its abstraction makes data science much simpler. Data scientists commonly use machine learning. These algorithms are often iterative, and Spark has the uncanny skill to cache the database in memory which in turn speeds up such iterative data fetching. Engineered from the bottom-up for performance, Spark can be 100x faster than Hadoop for large scale data processing by exploiting in memory computing and other optimizations. Spark is also fast when data is stored on disk, and currently holds the world record for large-scale on-disk sorting. Spark has easy-to-use APIs for operating on large datasets. This includes a collection of over 100 operators for transforming data and familiar data frame APIs for manipulating semi-structured data. Spark comes packaged with higher-level libraries, including support for SQL queries, streaming data, machine learning and graph processing. These standard libraries increase developer productivity and can be seamlessly combined to create complex workflows. Why choose Tranz Software Solutions Pvt. Ltd.for Apache Spark? We understand how programming suites are executed, with years of value understanding on complex SAP and Hadoop issues, we have increased colossal learning and mastery on innovation. We are pioneers in our fields and that is precisely what makes us the best in the business. 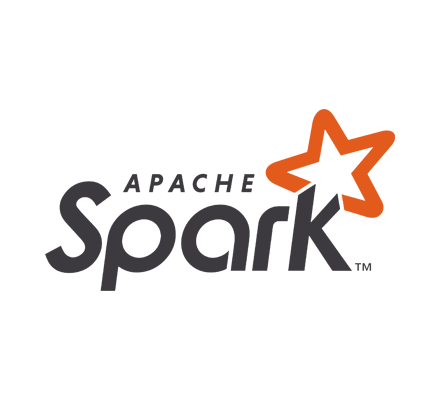 Contact us today for Spark Apache Development today! Copyright 2018.Tranz Software Solutions Pvt Ltd All Rights Reserved.